We all know that taking fish oil supplements benefit heart health, but a study in Cancer Epidemiology, Biomarkers & Prevention shows fish oil supplements may also help reduce breast cancer risk. In the study, the use of fish oil was linked to a lower risk of invasive ductal breast cancer. Ductal breast cancer is the most common type of breast cancer. 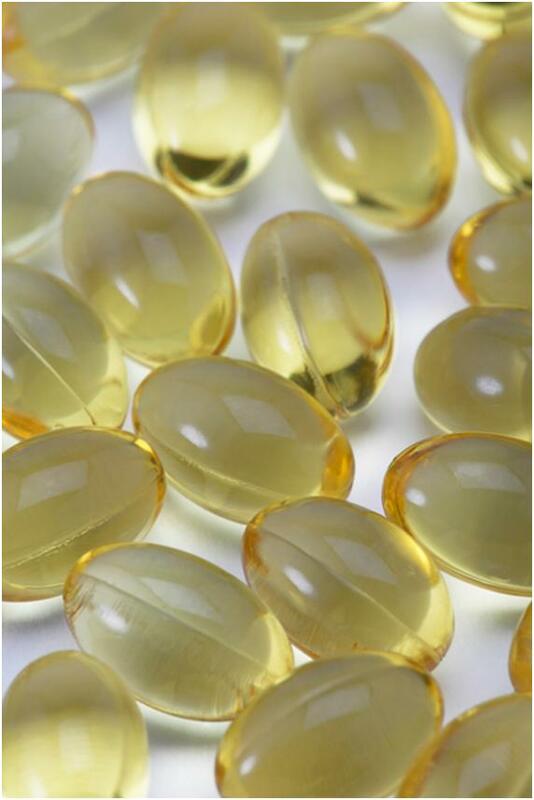 In the study of 35,016 older women with no history of breast cancer, those who reported currently taking fish oil supplements on a regular basis had a 32% reduced risk for developing invasive ductal breast cancer, compared with women who did not take fish oil supplements. “If you are taking fish oil now for other reasons, this is reassuring that it may have beneficial effects beside what you are taking it for,” says study researcher Emily White, PhD, an epidemiologist at the Fred Hutchinson Cancer Research Center in Seattle. Many people currently take fish oil supplements to decrease their risk for heart disease. Fish oil, specifically omega-3 fatty acids, have strong anti-inflammatory properties. Some research suggests that inflammation plays a role in the development of breast and other cancers. Other studies have not found a link between eating more fatty fish and breast cancer risk, but it may be that the amount of omega-3 fatty acids in fish oil supplements is much higher than what is typically found in the diet. “Fish oil, in general, is a very good anti-inflammatory agent, and inflammation plays a role in cancer development,” says Peiying Yang, PhD, an assistant professor of integrative medicine at M.D. Anderson, who recently received a grant to study how fish oil supplements affect lung cancer risk. But it’s buyer beware when it comes to choosing fish oil supplements. Fish contain loads of pollutants and toxins- dioxins, PCBs, and heavy metal toxins such as mercury which can damage brain/ nervous system function, cause hormonal imbalances and negatively impact health in general. Make sure your fish oil supplement is pharmaceutical grade purified and third-party tested for impurities and heavy metals. Nordic Naturals is a trusted American brand I often recommend. This entry was posted in Cancer Prevention, Heart Health, Hormonal (Endocrine) Imbalances, News Update, Nutrition, Toxins and Our Health, Women's Health and tagged breast cancer, cancer prevention, fish oil, natural anti-inflammatory, omega-3 fatty acids. Bookmark the permalink.